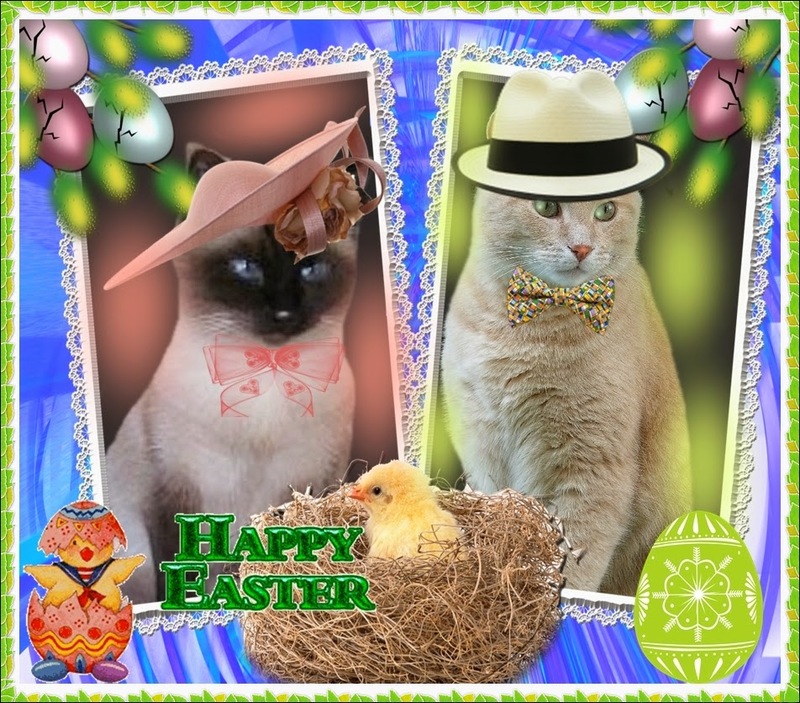 Wendy's 3-D Cats: A COUPLE OF EASTER COUPLES ... OR THREE! Easter is a time when families get together, and it's no different with the 3-Ds, as each of them has a significant other. Dylan is in Louisiana with his fiance Halle and her family. They are celebrating in their Easter finest. Halle is so lovely in her peach-coloured hat and bow, and Dylan is dapPURR and understated in his off-white Panama hat and multi-coloured bowtie. What a handsome couple they make! Domino and Milo are in the Cotswolds in England, where Milo's family recently moved. 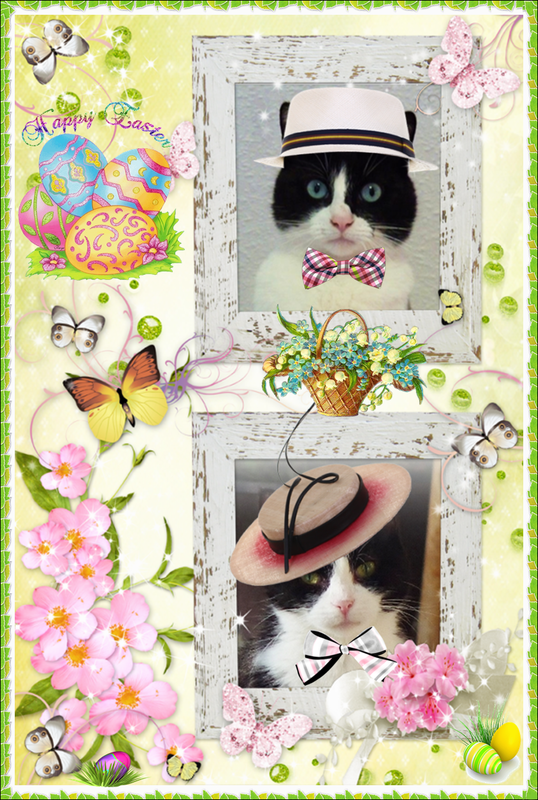 They are quite classic; Milo in his white fedora with bowtie-in-check, and Domino in a feminine boater hat with a twist! These two are truly tuxedo cat royalty. And to see where in the world Dante and Sascha might be, just click on their names!